This article originally appeared in IB Global News, published 10 times a year, which provides an array of news and information about IB programmes, professional development and research. Sign up at the IB newsletters home page to receive IB Global News. 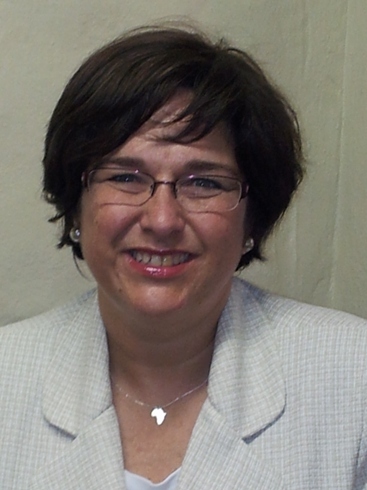 Denise Michel is the Primary Years Programme coordinator and vice-principal at the International School of Hout Bay in Capetown, South Africa. The school is one of two in the country that offer the PYP and the only one to offer the Diploma Programme. Michel was instrumental in implementing the programme at her school, which she describes as “teaching heaven.” In addition to her responsibilities at school, she works as a consultant for new IB schools, workshop leader and site visitor. She also does cricket and mini tennis extramurals during the summer at school, which she says helps keep her in contact and sane. How long has the International School of Hout Bay been authorized to offer the PYP? We began our journey as a PYP candidate school in 2006 and achieved our IB World School status in 2009. We are a small local school with an international perspective: Half of our pupils are local South African, and the balance is made up of international families. As a result of our IB World status, we have seen a growth in numbers both in our local enrollments and the enrollment of international families. In many cases, the family has chosen to live in Hout Bay because of the programme even if a parent has to travel to Johannesburg weekly for work! What is it like teaching and working at your school? I would quite happily describe teaching in our IB World School as “teaching heaven.” We are working with a programme that works and encourages us as professionals and the children to take active responsibility for our learning and development. Talking about it is not good enough—we need to see action and commitment from everyone. Our school has a positive energy, and this is, I believe, due to the whole school commitment to be the best learner profile we can be. We have low turnover of staff. They love the programmes and can’t see themselves teaching any other way.